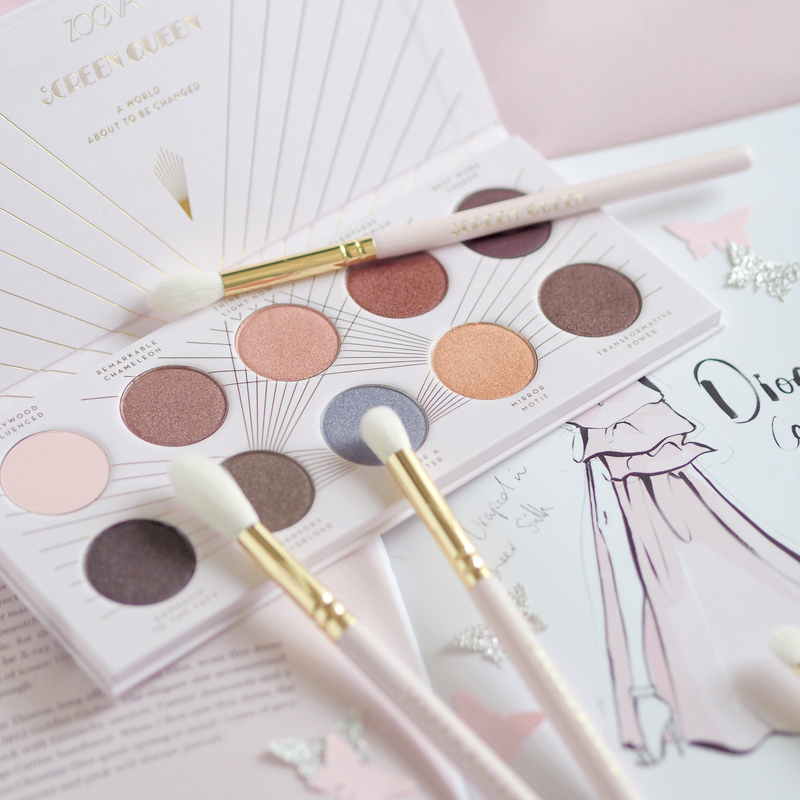 Inspired by the glitz and glamour of Hollywood’s golden age, the Zoeva Screen Queen collection* features a pretty-in-pink selection of makeup brushes and beauty palettes that’ll make you feel oh so starry eyed. You might have spotted this dreamy collection on my wishlist page for a little while now, we all know I can’t resist anything blush pink, so you can imagine how excited and grateful I was to see these beauties inside a PR package that I received (I might have screamed a little and danced around the house, but we’ll keep that part quiet). The collection itself contains a beautiful selection of indulgent champagne hues, powder pinks and fine golds, all dressed to impress with a dash of vintage film star sparkle. 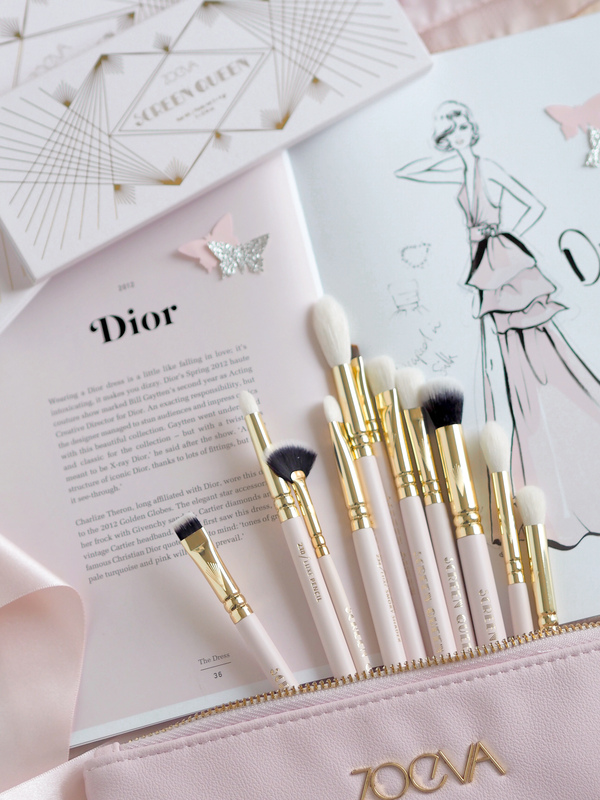 The Complete Eye Set* features 12 handcrafted brushes with pretty pink handles, luxurious golden ferrules and gorgeous gold lettering in a classic vintage film font. 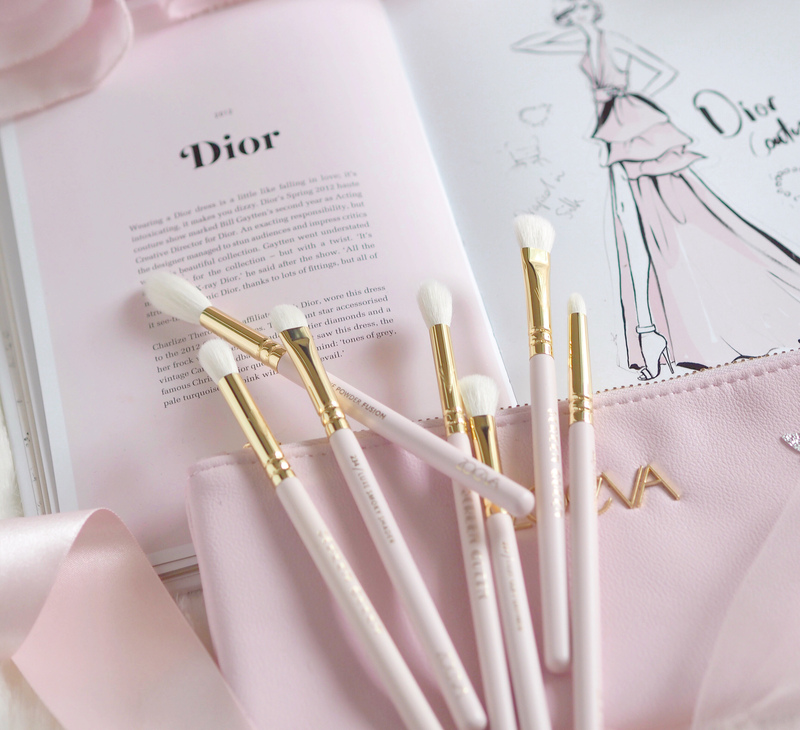 The brushes have a blend of natural and synthetic brush hairs which are super fluffy and feel cushion soft. I’ve long since adored Zoeva brushes, as I find them to always be long lasting and of superior quality. In the set is a full range of all the professional eye essentials you could dream of, from a soft shader to fluffy blender, luxe definer, precision smudger, fine liner and even a cute little petit fan brush. 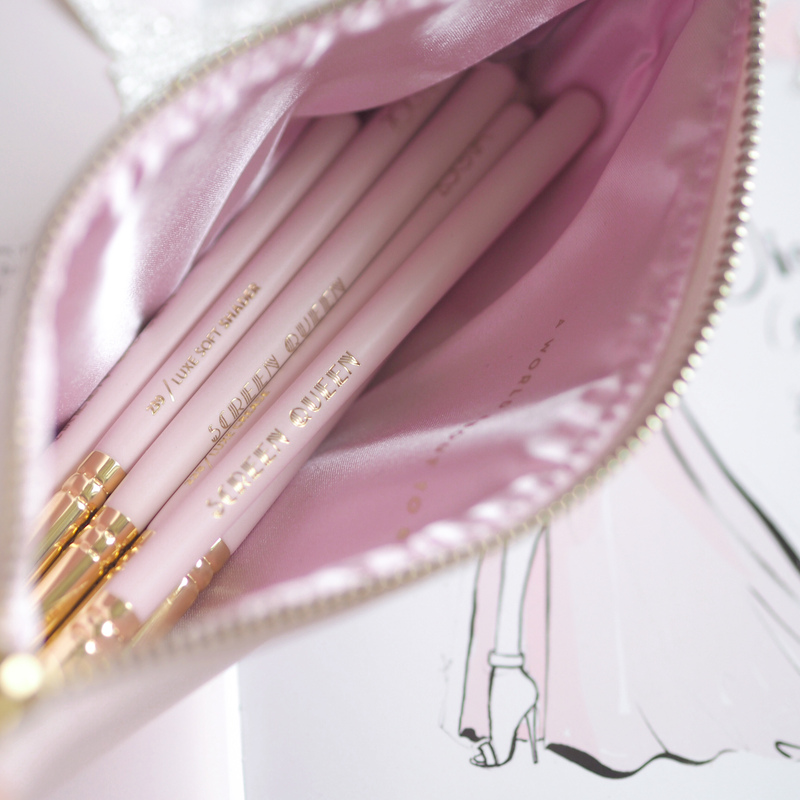 They sit pretty inside an elegant soft pink leather clutch which just makes the whole set so divine! 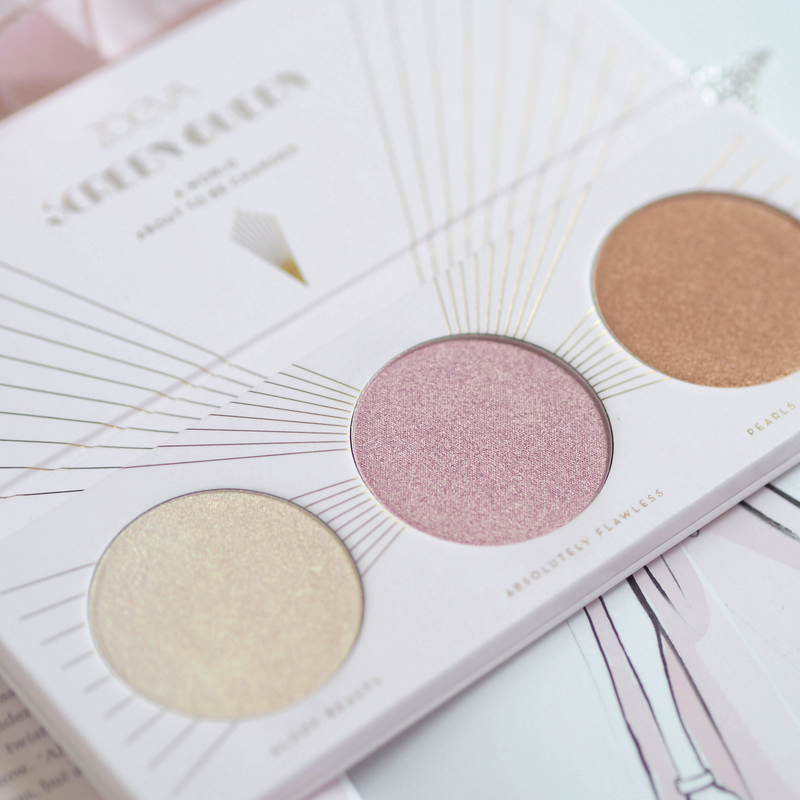 The Screen Queen Highlighting Palette* contains three velvety smooth illuminators for an ethereal film star worthy glow. 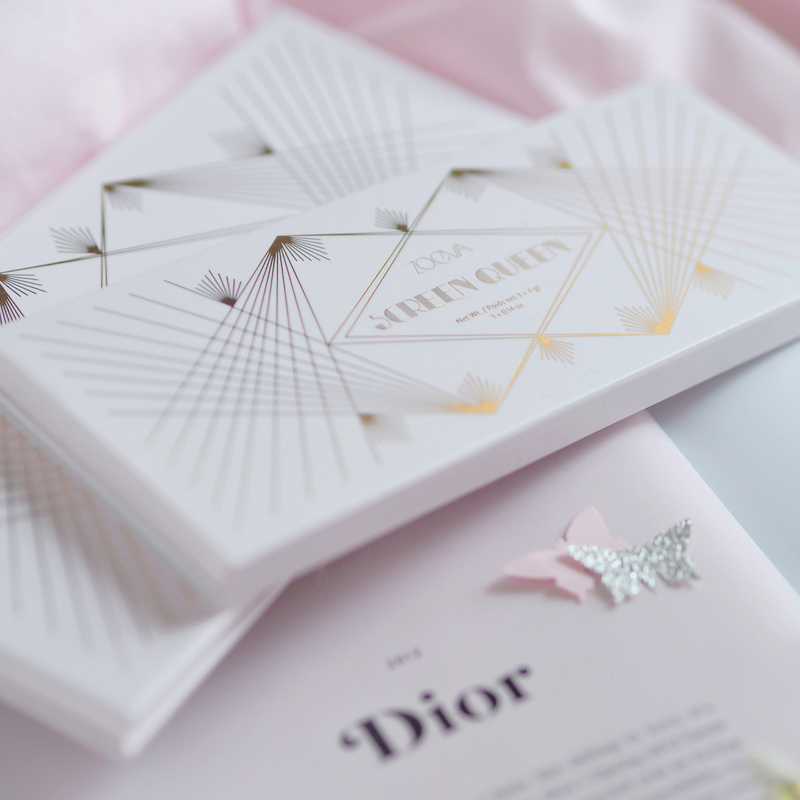 The blush pink palette packaging oozes with Art Deco Great Gatsby style details and luxurious old Hollywood glamour. Inside is a silky champagne; Aloof Beauty, a shimmering lilac; Absolutely Flawless, and a golden peach; Pearl And Fine Silks. I find these to give a lovely soft finish that can be built up to achieve your desired amount of radiance. Inspired by the glitz of tinseltown, the Screen Queen Eyeshadow Palette* features 10 film star ready shadows in a luxurious mix of shimmer, duo-chrome, matte & satin finishes. Each shade has been hand-picked to resemble Hollywood’s golden era, with an array of romantic warm neutrals and a few pops of vintage colour. The pigmentation is rich across the majority of the palette, although some of the shimmer shades I find work best applied wet to really pick up the intensity. My personal favourite shades are Hollywood Influencer; a soft chalk pink, Remarkable Chameleon; a beautiful bronze, Shine Your Light Now; a coppery rose, as well as Eye Of A Painter; a pale blue shimmer purely for the vintage vibes! 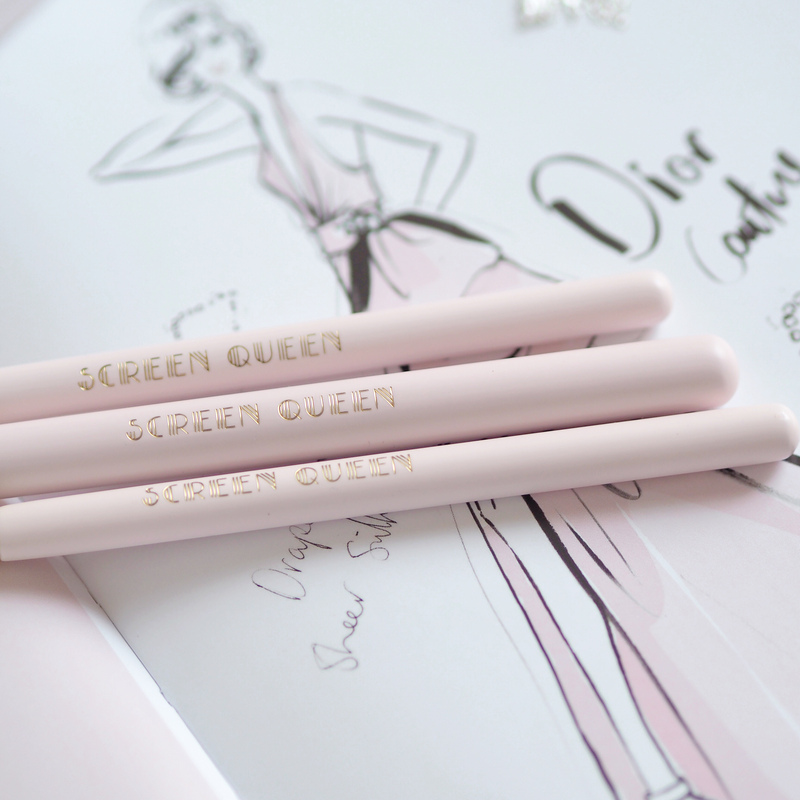 The Zoeva Screen Queen collection will take you back to the glamour of yesteryear, and is sure to make you feel like a red-carpet-ready movie siren! This collection looks ever so lovely!